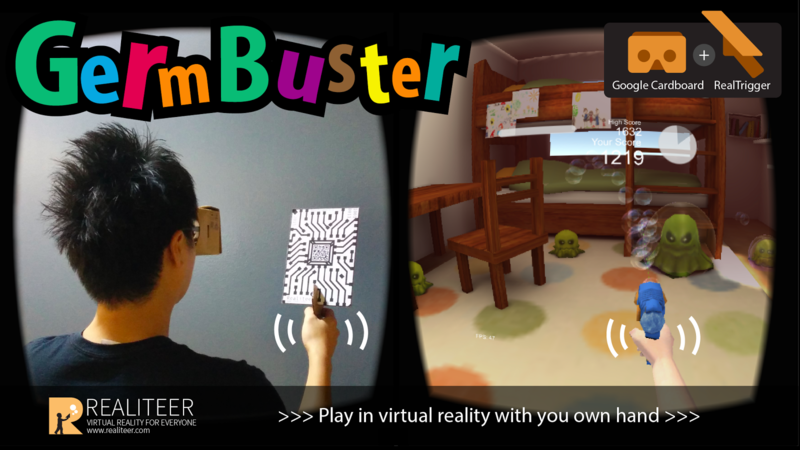 You will find tons of Apps for Google Cardboard by now. But there are some that are a bit more special. 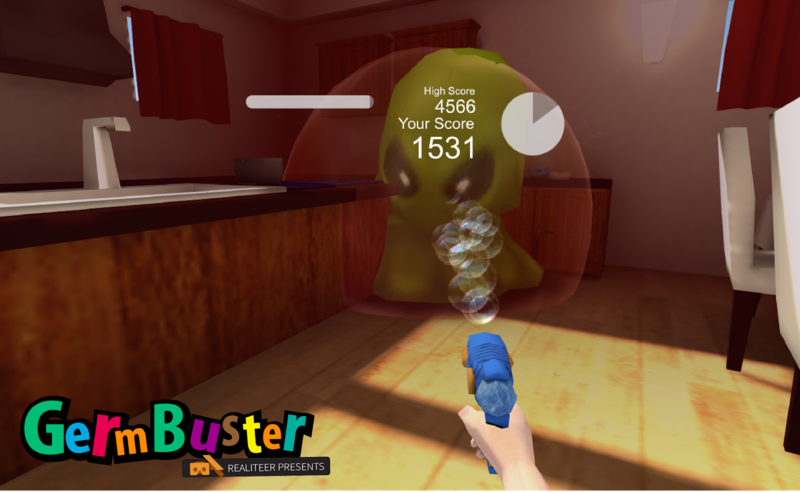 Goal of the game GermBuster is it to shoot Germs with a soap bubble gun. Special is that you aim with a hand held device, that can be easily printed out. 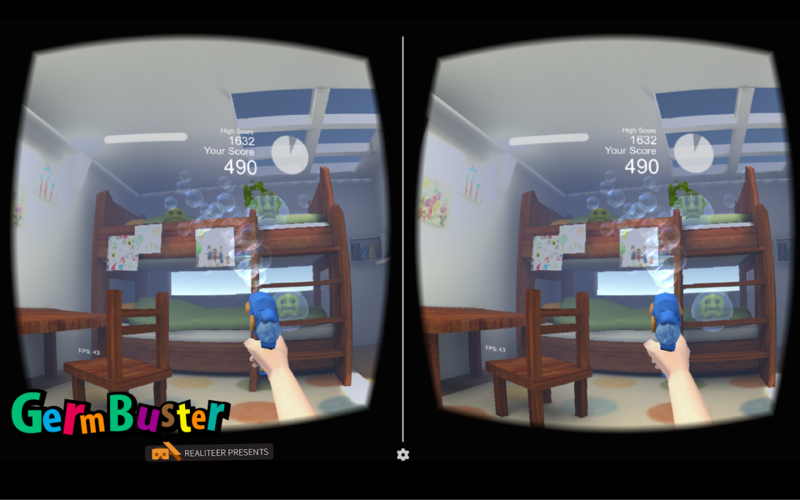 When hold in front if the cardboard, the app will track the position of the ‘gun’ via the phone’s camera and transmits the information into the app.